There are thousands of vacuum cleaners on the market today and it’s fair to say they all have a place in the market depending on the use or area to be cleaned. 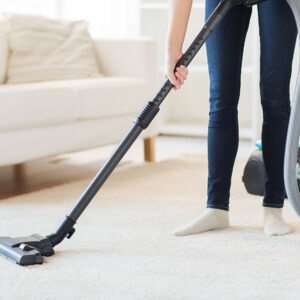 Vacuuming releases up to 80% of soiling and should be performed daily and is the first step in carpet maintenance.Good housekeeping should also include a general purpose spotter for accidental spillages and a deep cleaning schedule every 12-18 months. For those of you who like to research and evaluate www.carpet-rug.org is full of useful information. For those that are happy to go on my recommendation and observations, my current favourites are the Dyson Digital Slim and the Sebo Evolution 350. Both machines are robust, economical, easy to use, are simple to maintain and are effective and reliable.